Amongst the current trend of depicting social issues and taboos through the medium of TV dramas, the hit show Khudparast takes the lead, as it encompasses everything wrong within our society. The story revolves around the life of a lively girl named Uswa (Ramsha Khan) who doesn’t believe in living by the rules. She has brothers who are all married, and her free spirit is a thorn in the flesh of their wives, as they are constantly plotting to bring her and her older sister, Mariah, down. Their constant hatred towards their sisters-in-law is unbelievable, and yet shockingly uncanny. However, Uswa and Mariah do not exactly act as role models either, for they administer their fair share of torture as well. As the drama proceeds, Uswa receives a marriage proposal from a ridiculously wealthy family. This is where things begin to get interesting. 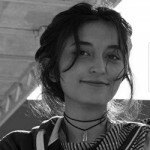 Bakhtawar (played by the very talented Asma Abbas), a woman who brings a marriage proposal for her younger son Hanan, marches out upon discovering that the girl they came to propose for is rather liberal and cannot be subdued. However, the sisters-in-law consider this an opportunity to get rid of Uswa once and for all while also killing her fiery spirit, so they do some plotting which immediately brings the proposal back. Though a major theme, the show is not restricted to showing misogyny and the suppression of women after marriage. It goes further to highlight several other serious issues, such as the hypocrisy rampant in Pakistani society. Uswa’s in-laws are shown to be the perfect example of a religious family at first glance, but if you look beyond the surface, you see the demons they are trying to hide through their money. For example, Uswa’s mother-in-law – who goes to Tafseer every single day and has probably never let the dupatta fall from her head in any episode – is also shown to have never prayed a single prayer in her life, let alone open the Quran in private. Her eldest son frequently drinks and has extramarital affairs, which his super religious mother is aware of. When her daughter-in-law complains about the affairs, she is told she is at fault, not her husband – a typical patriarchal response common in our society. Similar to the eldest son, the younger one also has severe anger management issues, and both brothers beat their wives as an expression of their manliness. Despite being a woman, the mother-in-law not only promotes this behaviour but considers it an essential part of maintaining order in her house. However, this hypocrisy is not only limited to Uswa’s in-laws, but finds its roots deep within her own family as well. Her mother, who is shown to be an exceptionally greedy woman, teaches her daughter tactics to take her in-laws down while taking over their wealth simultaneously. Unlike most mothers, her priority is money and wealth rather than her daughter’s security and happiness. She is constantly shown telling Uswa that as long as she gets monetary benefits, a little bit of abuse is nothing she can’t handle. Later in the show, the same mother is shown to be terrified of the thought that her daughter will face karma for all her wrongdoings, which is completely ridiculous because it was she who forced her daughter to do it all in the first place. Similar to her mother, Uswa’s brothers, who are shown as mere puppets for their wives, start seeing their sister as an ATM. Like her mother, they too cash on her miseries and live a luxurious life off of it. Additionally, throughout the show, Uswa is shown developing a deep hatred for Beenish (Nausheen Shah), the wife of Hanan’s older brother. 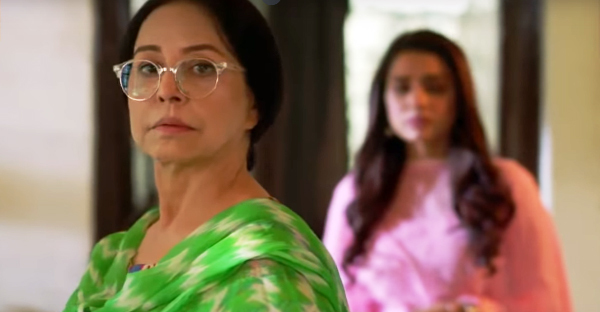 For no reason whatsoever, she sets out to destroy Beenish’s life, constantly taunting her for being a submissive wife and daughter-in-law, as well as framing her for having an extramarital affair with Hanan. To prove her allegation, Uswa swears on her unborn child that she is not lying, which leads to everyone believing her. However, later in the show, she is shown having a miscarriage after a tree falls on top of her during a storm, the incident depicting how easily some individuals lie and hurt others, forgetting what goes around comes around. 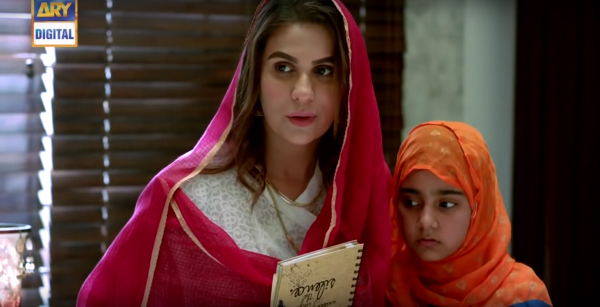 This show is a true depiction of the disgusting side of an orientalist society that is Pakistan. It captures the essence of a society where culture matters more than basic human rights, where religion is malleable according to the wishes of the powerful, and where hypocrites thrive while the honest suffer. This is a society where a woman is treated as no more than a robot or a baby machine, lacking all emotions and devoid of pain. Where she is seen as a doll, praised and objectified for her beauty. Where her character is considered as fragile as a film of ice over water, cracked by the slightest touch. Where she is not a human being but a marionette expected to dance along the wishes of the puppeteer, and if she fails to do so, she is severely punished. She is, after all, merely an object, and can be played with, broken or thrown away as her masters (men) please to do with them. Thus, the victim is blamed while the oppressor walks free. All these concepts are strongly depicted in this one drama, truly making it one of a kind for the industry. Dramas such as Khudparast are more than just plain boring tales of love, marriages and breakups; they highlight the reality we all exist in. Portraying these issues on the small screen is a great way of spreading awareness and maybe triggering some introspection within those who make a habit of abusive or malicious behaviour. Perhaps this will take us one step closer to eradicating such evils from our society altogether. 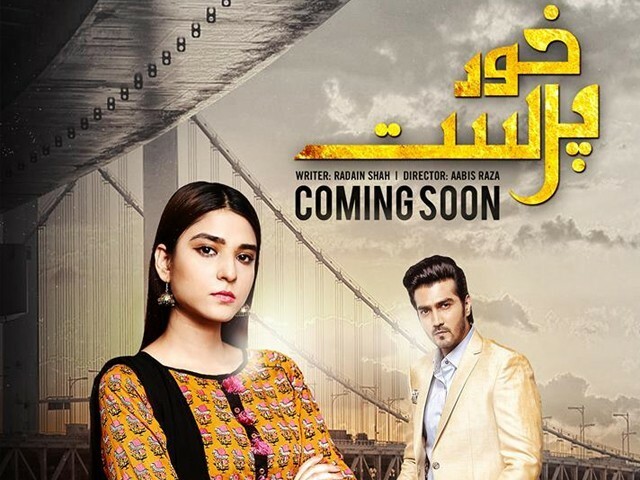 Hopefully, our drama industry will learn from powerful shows like Khudparast and continue hitting us with hard-hitting messages instead of the vague love stories we have all grown tired of by now.